A curious adult polar bear (Ursus maritimus) approaches the National Geographic Explorer in the Barents Sea off the eastern coast of EdgeÃ¸ya (Edge Island) in the Svalbard Archipelago, Norway. 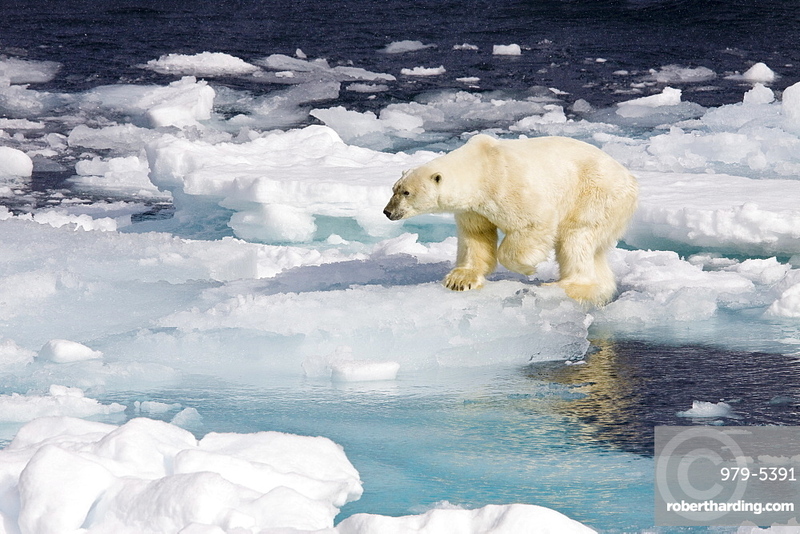 The IUCN now lists global warming as the most significant threat to the polar bear, primarily because the melting of its sea ice habitat reduces its ability to find sufficient food. The IUCN states, "If climatic trends continue polar bears may become extirpated from most of their range within 100 years." On May 14, 2008, the United States Department of the Interior listed the polar bear as a threatened species under the Endangered Species Act.